Steel, like many other resources, can face importing challenges. A recent focus on policing steel could also make procurement difficult because of the changes it will bring to standard policies. The government is specifically looking more closely at steel as part of a new executive order titled "Buy American, Hire American." As the name implies, this is an effort to focus on domestic production with the hopeful benefit of encouraging the U.S. economy. The process hasn't begun in full as of yet, but is in the earlier stages as officials look more into current practices and enforcement. In an interview posted online, an unnamed Senior Administration Official said that the "Buy American" order actually gets its basis from a similar one from the 1930s, and that the current program will also include enforcement to ensure that agencies carry out the right measures in response. "Agencies have their clear marching orders, and they will be held strictly accountable for any failure to fulfill the Buy American mission," this person said. "As part of this accountability, each agency will conduct a comprehensive top-to-bottom Buy American performance review, including an assessment of the agency's use of waivers and exceptions, as well as a requirement to provide recommendations to strengthen Buy American. "This is an effort to focus on domestic production." This focus on new procurement measures seems to be an important one for the new administration. The Official mentioned above went on to say that the executive office wants to reduce the number of waivers granted to the steel industry while developing the domestic sector. The speaker also implied that relying on outside steel could reduce the quality, since dealing with steel from countries such as China could encourage using "lesser standards." As Politico pointed out, the order might be considered vague in some areas at the moment, since it doesn't specify things such as all of the different visa programs affected, which could also allow for a new look at labor initiatives. The impact for businesses is yet to be fully certain but could include new procurement strategies that are both efficient and practical. The new Executive Order is reportedly connected to the US Trade Expansion Act of 1962, the BBC said. John F. Kennedy originally signed this Act into existence and the text granted certain authorities to the president that could have to do with business. These included the ability to levy duty or import restrictions that might help avert harm to U.S. industries. Decisions over the steel industry could also be extremely important depending on what happens in the global market. 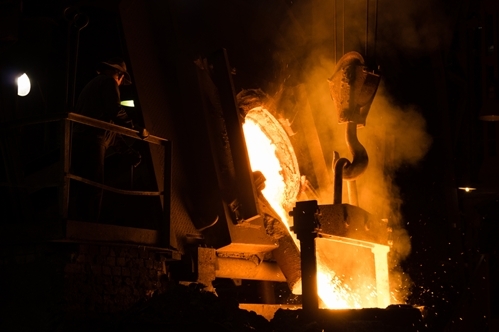 The World Steel Association recently announced a "cyclical upturn in steel demand", based on current figures for the globe. This also forecast an overall figure of 1.3 percent growth for 2017 demand in total, with next year bringing .9 percent, a slight decline. To continue global sourcing while making good decisions for all parties, steel businesses and others can focus on strategically sourced providers to make up the supply chain.